Depositing by using a pre-paid Visa card into a US online poker room is an extremely popular way to instantly fund your online poker account. It is safe and secure and with most poker rooms now accepting this method it’s extremely commonplace. 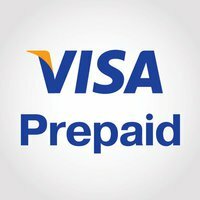 You may buy pre paid Visa cards at many outlets in the US and even online and they work in the same way that a regular Visa card works. A pre paid Visa is exactly the same as a Visa gift card, and these type of cards will also work in online poker rooms that accept Visa, and of course most will. There is one important thing that you’ll need to make sure of when purchasing your pre paid Visa, and that is to make sure the card is OK for international purchases, and while most cards are, it is always advisable to double check before handing over your money. Rooms that accept pre paid Visa card deposits are Bovada Poker, BetOnline Poker, Americas Cardroom and Carbon Poker and you make the deposit in exactly the same way as you would with a regular credit card. There are many advantages to using a pre paid Visa, the biggest and most important one is that it actually works and when using this method, as long as the card is cleared for international purchases then your account will be funded within seconds. Another advantage is that the card works similarly to a debit card in that you cannot over spend, and you may only deposit to the value of the card. There will be a small fee when obtaining the card and this will differ depending on the card you have, but it is usually a very small amount and cards may be purchased in many places such as gas stations, grocery stores and other outlets making them very easy to obtain. As mentioned it is the same as when using a Visa credit card and once you have signed up and downloaded the poker software you head to the cashier. You’ll need to click on Visa as the deposit option, enter the card details and the amount you wish to deposit and then within seconds the funds will appear in your poker account, and you may begin playing real money online poker. Pre paid Visa’s are now very popular as they provide instant safe and secure funding, no overspending on a credit card and are so freely available, in fact many people use them for other day to day transactions instead of using cash.